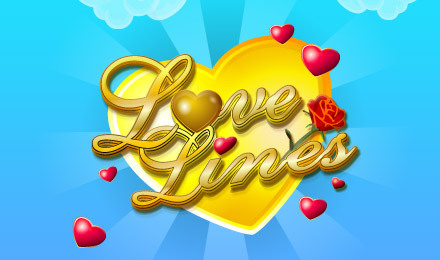 Love Lines Scratch Card | Play online at Vegas Spins! Feel the love when you scratch & match Love Lines online scratch card game! Win big cash prizes when you match 3 or more heart symbols on the card! Fall in love when you play Love Lines Scratch Card game at Vegas Spins! The adorable design includes Cupid, red roses, bottle of champagne, hearts and many other romantic symbols. This game is easy to play and you can win big instantly! Match the symbols for quick wins and big cash prizes! Simply click on the 9 squares to reveal the symbols hidden underneath. If you can match 3 symbols in any direction you can win the Mega Jackpot Prize! What are you waiting for? Play Love Lines scratch card online today!